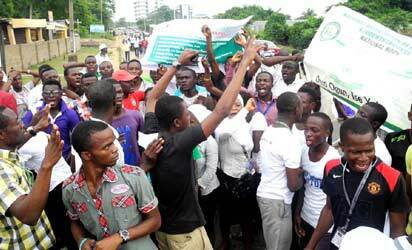 THE Academic Staff Union of Polytechnics, ASUP, yesterday, denied receipt of shortfall of teachers’ salary and promotion arrears from the Federal Government. President of ASUP, Dr Usman Dutse, who spoke with newsmen, said: “We are still waiting for concrete evidence from the Federal Government showing the details of payment of the N16.4 billion shortfall of members’ salary and promotion arrears and another N30 billion revitalisation funds. ” He explained that the evidence must have to emanate from the Office of Accountant-General of the Federation and not necessarily to reflect on their bank salary accounts before the congress of the union would decide the next line of action as regards their ongoing strike.